Well written... no ending... I want my money back. This was a fantastic and fulfilling read! Elizabeth Hayley never fails to deliver a story that is well written, wholly consuming, and packing the perfect blend of heat, banter, and dynamic characters that are truly unforgettable. It is no secret that I am a huge fan of their books, and getting a new story, a new world, and a new set of characters from them is something I really look forward to. There isn't a book from them that I haven't loved with all that I have, and Dazzling, the first book in their new Diamond Trilogy was no different. This book was fulfilling. It was mesmerizing. It was vibrant, completely enjoyable, and I could not put it down. From the very first page of this story I was hooked into everything that I was getting with Siobhan and Derick's characters, and the more I got with them, the more I needed to know what their story would bring. 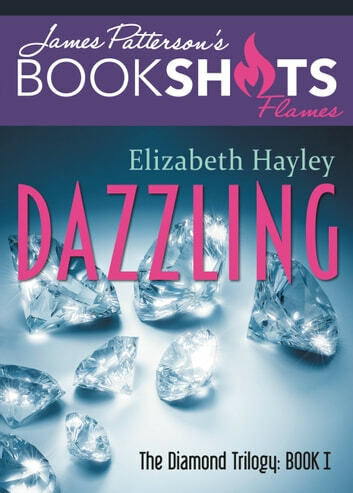 Told with Elizabeth Hayley's distinctive and captivating writing, Dazzling tells the story of what happens when an aspiring artist meets and starts to fall in love with a billionaire. From the moment that Siobhan and Derick meet in this story there is an instant connection between them. A connection they can't deny or fight, and soon these two find themselves feeling a whole helluva lot for one another, all while trying to figure out if they can overcome the differences between them that threaten to tear them apart. 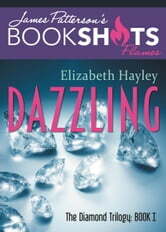 Dazzling is their story of instant attraction, and what it means for those two to fall hard and fast for one another. Through every turn of the page in this book you will be pulled in more to everything they share, and what you get with them within those pages will have you beyond enamored with all that those two share. With a heat, a connection, and a spark that never quits, Siobhan and Derick's story in Dazzling is one that bursts with a chemistry and a vibrancy that can't be beat. I have to say one of my favorite aspects of this story was getting so much with these characters in this story. This is definitely a quick read, but don't for one second think that that means you won't get so much with these characters. Elizabeth Hayley perfectly balances creating a story that's pacing is out of this world phenomenal, while also giving you so much of these characters to love, understand, and invest in. I loved getting to know and fall for Siobhan, Derick, and the possibilities of what could be between them, and I for one can't wait to get the next part of their story!! This first part in Dazzling was the most amazing beginning for them, and it has me practically dying for more because I already can't get enough of their characters and what they share together. When you read this story you will feel every bit of what these characters do, and I am telling you, you will love getting to be there through it all. Through every turn of that page you'll be consumed by it all even more, and by the end you'll be needing that next part like you need your next breath. I truly can't wait to see what the next chapter of Siobhan and Derick's story brings. I have no doubt that whatever their next chapter brings the two of them it'll be exciting, it'll be captivating, and it'll be full of the most dazzling sparks. Elizabeth Hayley blew me away once again with Dazzling, and the enticing, vibrant, and alluring world and characters they created within its pages. This is a quickly paced, fulfilling, and all-around outstanding read that will leave you loving everything you're reading and simultaneously chomping at the bit for more!